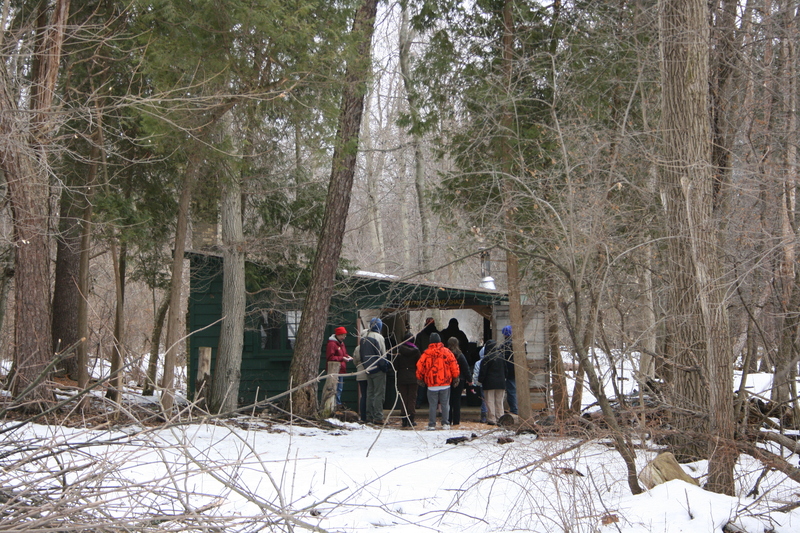 Maple Madness Interpretive Tours — Dahlem’s maple sugaring operation is small but an ideal site to demonstrate the science of collecting maple tree sap and making our favorite tasty maple syrup topping. Sign up for an interpretive guided 1 1/2 hour tour at 12:00 pm or 2:00 pm to learn about the history of sugaring, and learn through hands-on STEM activities; how to identify the right trees to tap, how tapping is done, how trees ‘work’, and finally, see the sap being boiled down at the sugar shack, and where everyone gets to taste the sweet golden nectar of the sugar maple. Fee: $6/Dahlem member; $8/non-member. Advanced registration required at www.dahlemcenter.org or call the office (517-782-3453) to pay for your spot. Registration deadline is Friday, March 15 at 12:00 pm. The Dahlem Conservancy, 7117 S. Jackson Rd., Jackson 49201 just 15 minutes from downtown Jackson.